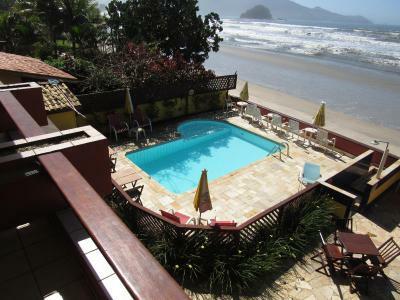 Lock in a great price for Pousada Casa na Praia – rated 8.2 by recent guests! 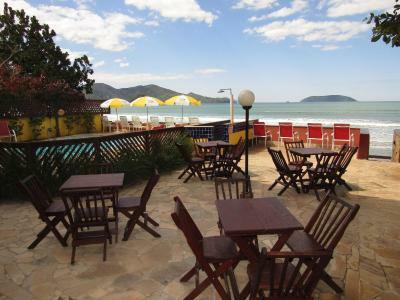 O café da manhã era bom, comida um prato de refeição serve a dois e gostosa.... a estrutura muito satisfatória, localização excelente pra quem quer uma praia limpa e TRANQUILA. 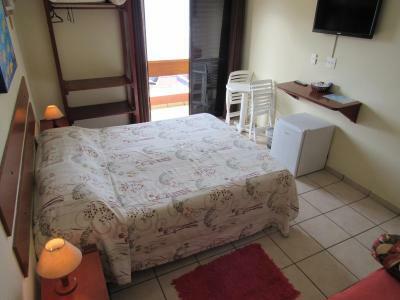 Gosto desde o atendimento da recepção até a moça que linda os quarto. 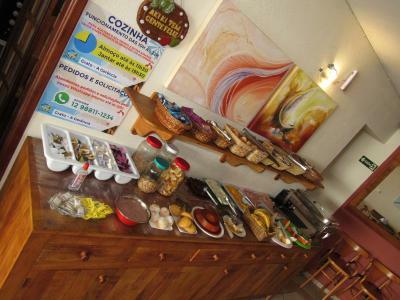 O café almoço e janta e tudo bommmmmmm voltarei mais e mais vezes. A localização é excelente, pé na areia de verdade. 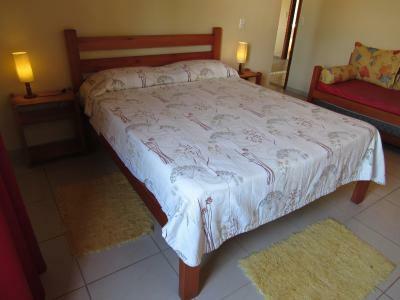 A limpeza muito boa. 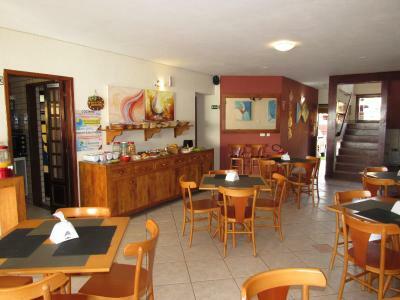 Pousada cheia e silenciosa, sossego. 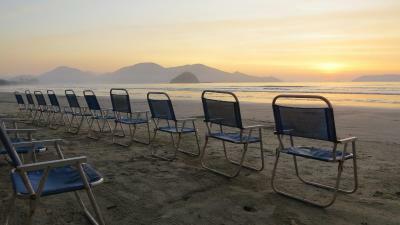 Uma varanda na parte de cima de bom gosto, com vista, tranquilo, onde se solicitar, pode fazer as refeiçoes lá. 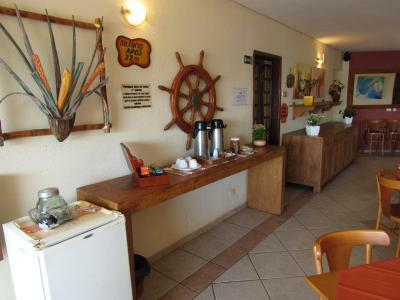 Local muito confortável, excelente para levar crianças, eles tem toda uma estrutura preparada para mães e bebês amei isto, com certeza é um diferencial, o quarto é bem confortável o café da manhã é muito bom também! 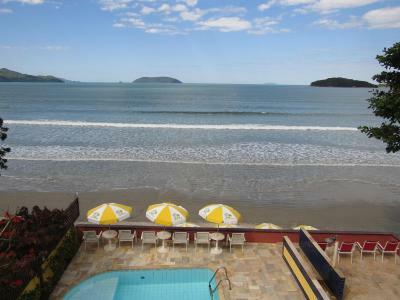 recomendo sem dúvidas. 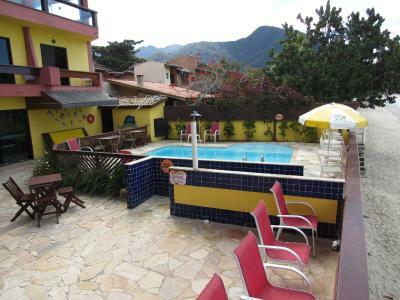 A pousada é muito bom. Tem brinquedos para as crianças. 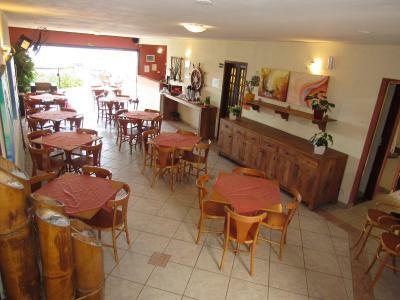 Sala de jogos p os adultos. 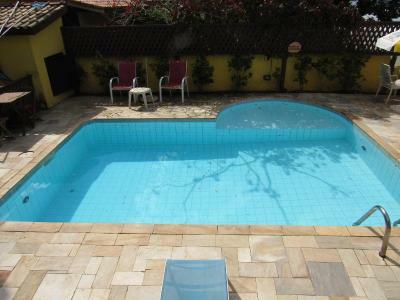 A piscina e pequena mais dá p curtir. 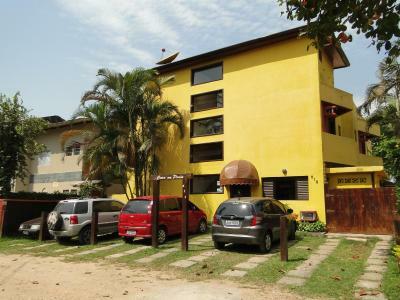 A equipe de atendimento foi eficiente. 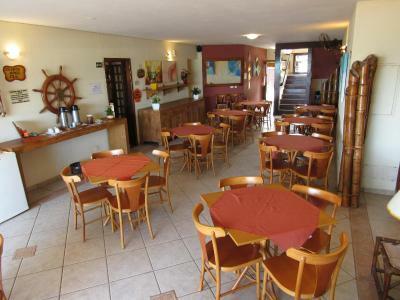 Café da manhã muito bom. 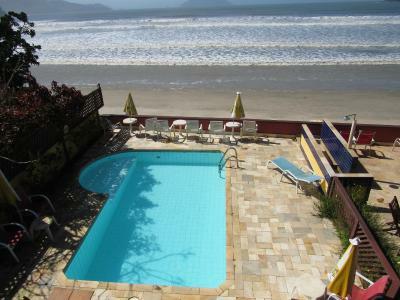 Acesso à praia excelente. 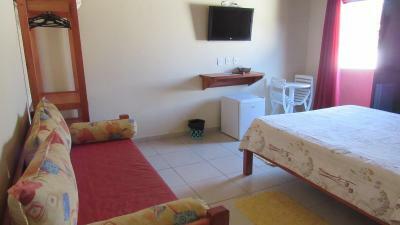 Pousada pé na areia, atendimento muito bom, quarto silencioso e tamanho ideal. 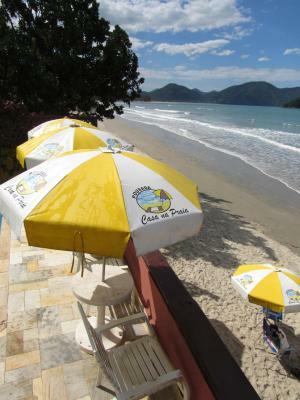 One of our best sellers in Ubatuba! 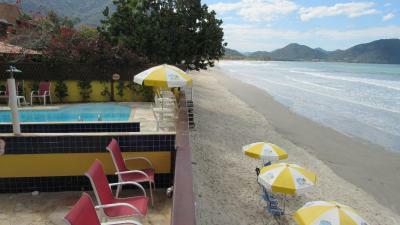 Guests at the Pousada Casa na Praia will enjoy its location directly on Sape Beach, south Ubatuba. 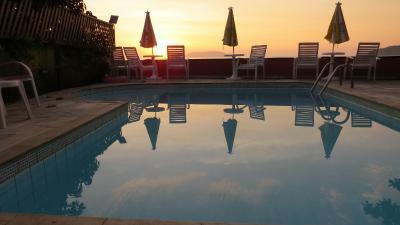 Facilities include an outdoor pool, sun terrace, restaurant, bar and free Wi-Fi and parking. 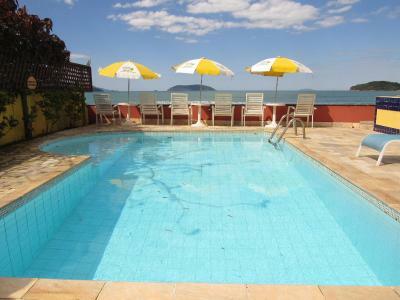 Guests at the Casa na Praia can enjoy panoramic sea views from the pool deck, and make use of the games room or the children´s playground. 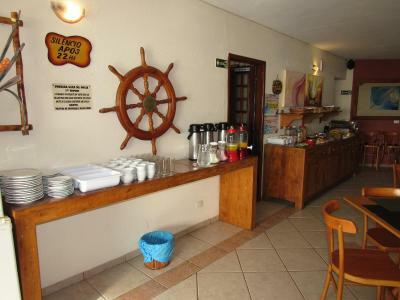 They can also enjoy the hotel´s restaurant and bar overlooking the beach. 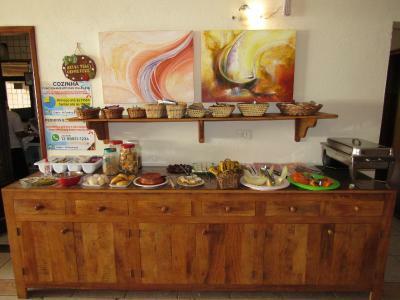 Room service is available and a breakfast buffet is served daily. 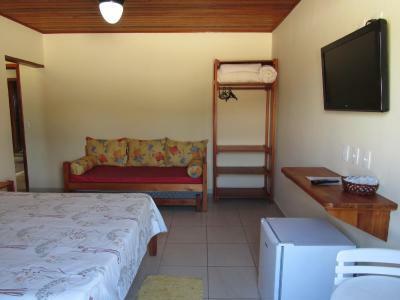 The air conditioned rooms at the Casa na Praia have private balconies and bathrooms, satellite TV and a ceiling fan. 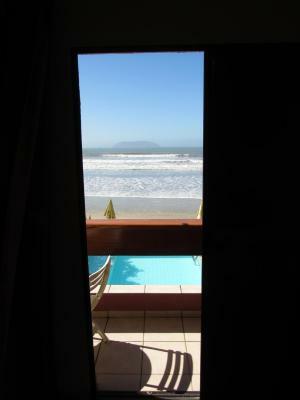 Some rooms offer a sea view. 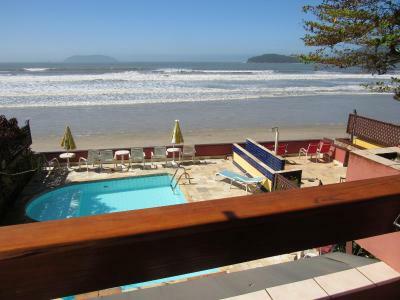 Casa na Praia is next to the Lagoinha beach, and is easily accessed via the Rio Santos highway. 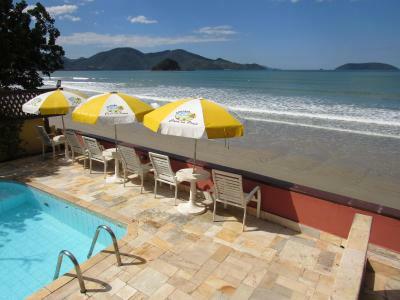 The hotel is 12 mi from Ubatuba´s lively center. 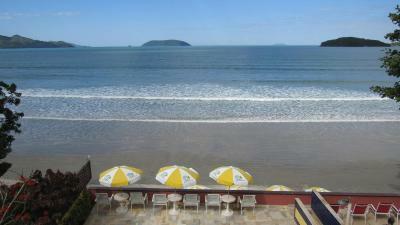 Praia do Sape is a great choice for travelers interested in kid-friendly beaches, beach walks and sandy beaches. 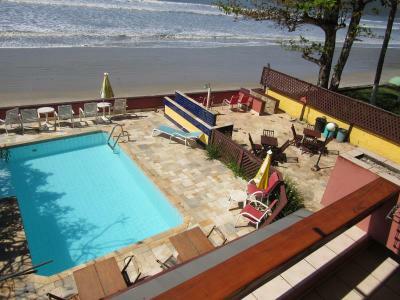 When would you like to stay at Pousada Casa na Praia? 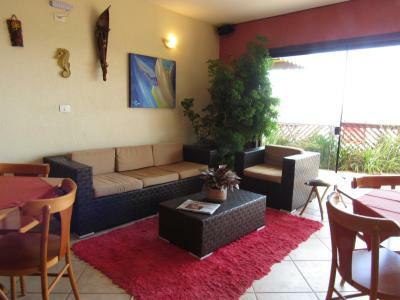 This suite has a balcony or a small private backyard. 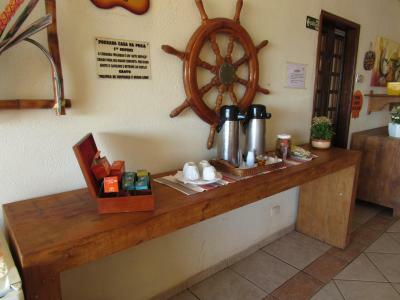 It is equipped with air conditioning, mini-bar and a 32" flat-screen TV. 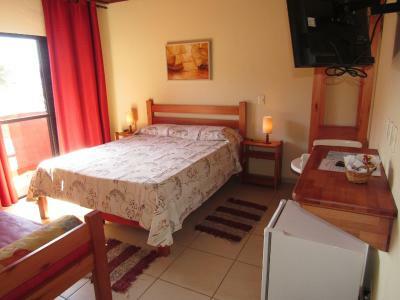 Offering a panoramic sea view, this suite also features a balcony, a 32" flat-screen TV and air conditioning. 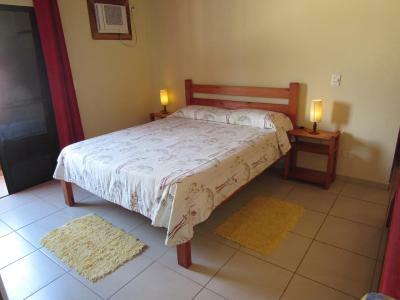 Please note that this room type is located on the Sape Beach beachfront. 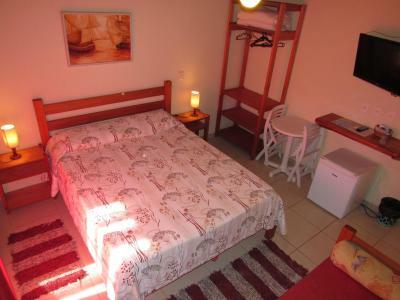 This double room has air conditioning and tile/marble floor. 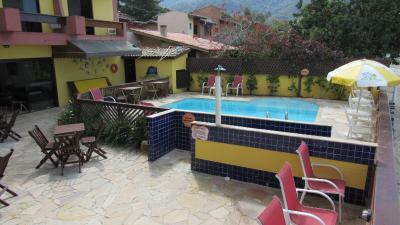 It is equipped with a 32" flat-screen TV and a private bathroom. 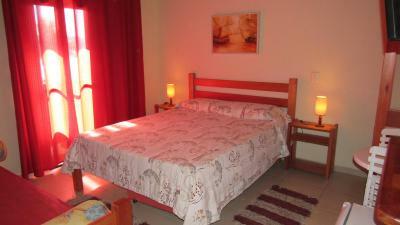 This room type is located in the property's second building. 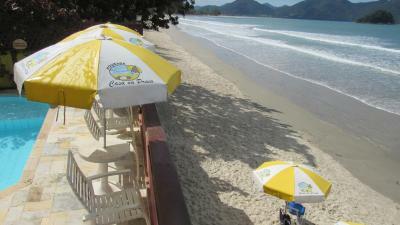 Please note that guests must cross a small street to access the beach. 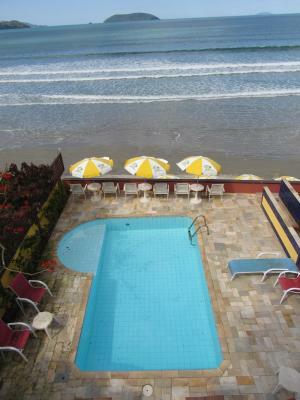 Featuring partial sea views and a balcony, this room also includes a 32" flat-screen TV, a mini-bar and air conditioning. 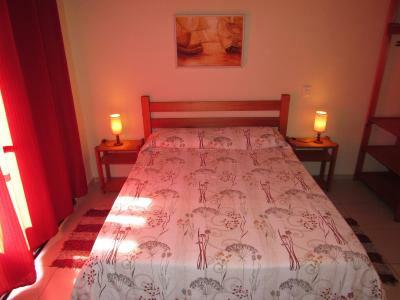 Please note that this room type has partial sea view. 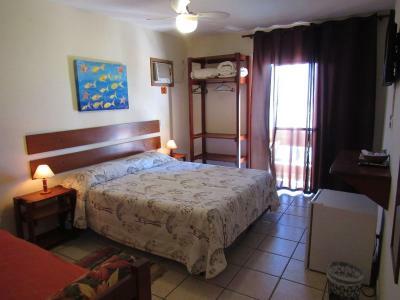 This is an interconnected room, equipped with 2 air conditioning, 2 32" flat-screen TV and 2 private bathrooms. 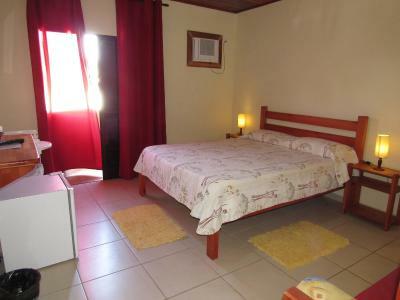 This room type is located in the property's second building. 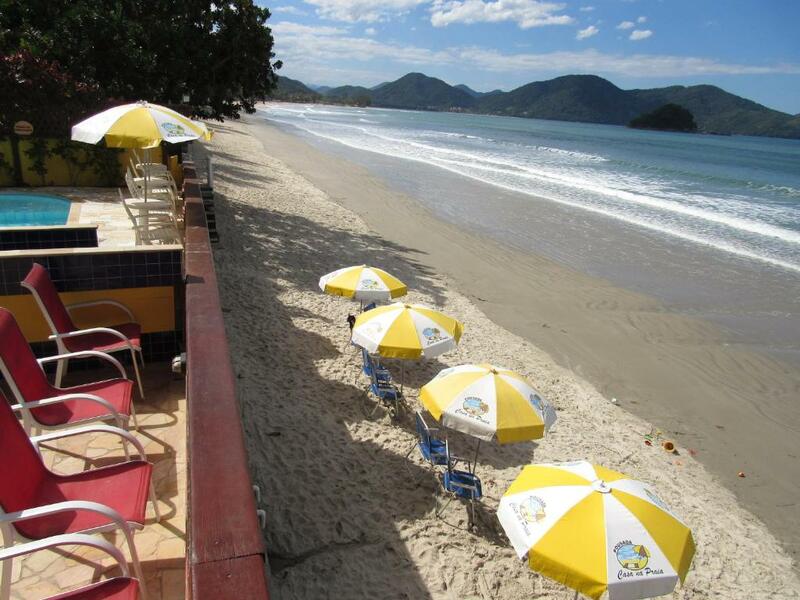 Please note that guests must cross a small street to access the beach. 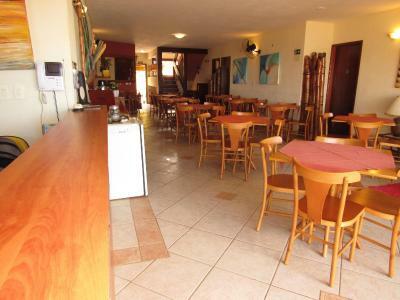 To access this room you must climb 4 flights of stairs. 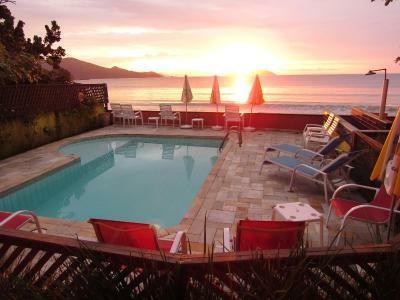 Area Info – This neighborhood is a great choice for travelers interested in kid-friendly beaches, beach walks and sandy beaches – Check location Great location - show map Guests loved walking around the neighborhood! 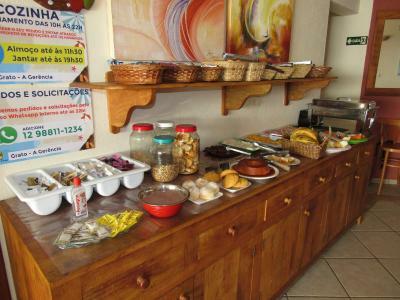 House Rules Pousada Casa na Praia takes special requests – add in the next step! 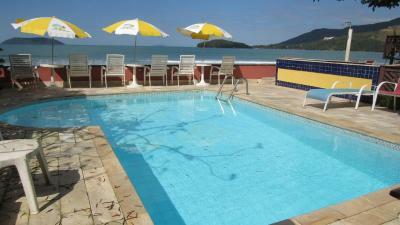 Pousada Casa na Praia accepts these cards and reserves the right to temporarily hold an amount prior to arrival.